A package from Zara Home came today! Inside were the candle votive (which I'm using as a brush holder), tea light, white tray and pearly jewelry dish. 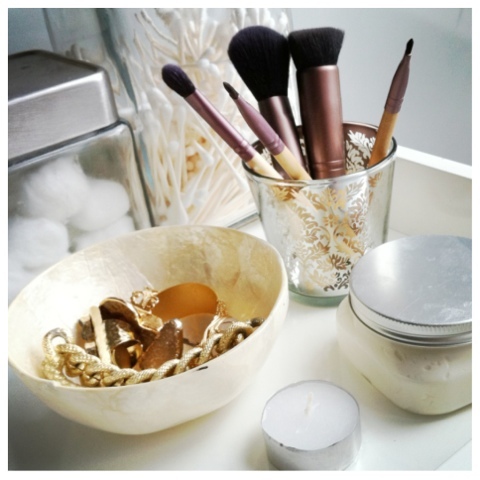 I love being able to display my brushes and rings and bracelets in a pretty way!